Lord Henry Wotton: The only way to behave to a woman is to make love to her if she is pretty, and to someone else if she is plain. A scene in which a tea party is inter-cut with shots showing Dorian's sadomasochistic excesses was toned down to remove or reduce the more explicit moments (explicit sight of a fingernail being pulled off, explicit sight of a chest being cut with a razor in a sexual context, explicit sight of blood being sucked from a woman's breasts and sight of a restrained man being beaten). 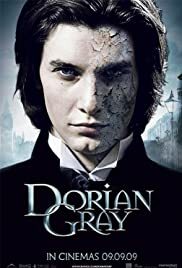 Q: Is 'Dorian Gray' based on a book? Q: What was the burning effigy Dorian sees as he wanders London after returning 25 years later? Q: What differences are there between the novel and the film? Enjoy it for what it is: A picture show and nothing more. 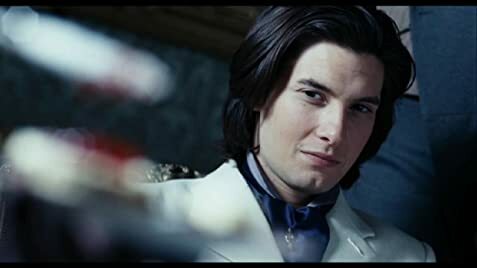 The Picture of Dorian Gray, as penned by the Irish wit Oscar Wilde (1854 - 1900), is a tale of high-brow debauchery and limitless pleasures of body and soul and the corruption, by one Lord Henry Wotton, of the young, handsome and soon to be narcissistic 19th century rock 'n roll hell-raiser Dorian Gray. Ealing Studios have translated Wilde's controversial novel into a celluloid den of iniquity that somehow comes across as rather shallow. Like the characters seen here too; it seems that as a work of symbolic gesture of how the upper classes conduct their sordid lifestyle of hypocrisy, deceit and lust it lacks any deep and thoughtful intrigue that any good 19th century Gothic horror story should be. To fully understand the ethics of a Victorian London that Oscar Wilde has so wonderfully reflected with his novel here, we see, too, with this latest interpretation using, as Wilde may have done, the picture purely as a metaphorical means. Yes, we see the selling of souls here and the lamb to the slaughter and the hedonistic teachings of Lord Wotton, but toward the end, the whole sordid affair becomes predictable. Penned with an undercurrent of realism and too fantasy of the love of sin. It's a dark, dirty, dingy setting of a self-indulgent Victorian London that we are lead to believe is prim and proper on the surface but lurking just below this weak, temperate society lies pure greed, greed for experience, experience that will transcend the mind, body and soul to the wondrous dealings of what life has to offer. For, as always, a price, a price both Oscar Wilde and Dorian Gray would pay the highest sacrifice. It is with a taint of sorrow that this latest performance too has paid a price too high, sensationalism over content, ironies aside, the film seems too concerned to show the sordid details of this lifestyle and its inhabitants'. It lingers on too far in the bedrooms of London and strays too far from the mental anguish that may have been. We see the trouble mind of our young (looking) man but we see not enough of his fears, regrets, sorrows and repentance, which are cast aside and squandered. Welcome to the 21st century Mr. Wilde. By the time the chimes of time are echoing in the distance we have Dorian fading into the far reaches of the eternal abyss of the afterlife. With all the time in the world we are still wanting more to feed our palates, it's all to aesthetically pleasing, but at the same time oh so unrewarding, a taster we are given but the full flavour we are, regrettably, spared. This too may have its target audience and in so having picked its target out it may have trouble standing the test of time, due to its lack of wit, lack of diversity and a lack of daring and commitment of its original source. It is a sad loss that such a literary work of historical meaning and wealth should have been robbed of its qualities. 119 of 187 people found this review helpful. Was this review helpful to you?